Auto Scaling also helps specify Scaling policies which can the be used to launch and terminate EC2 instances to handle any increase or decrease in demand on the application. Auto Scaling attempts to distribute instances evenly between the AZs that are enabled for the Auto Scaling group. Launch configuration is a template that an Auto Scaling group uses to launch EC2 instances. Launch configuration is similar to EC2 configuration and involves selection of the Amazon Machine Image (AMI), the instance type, a key pair, one or more security groups, and a block device mapping. Basic or Detailed monitoring for the instances in the Auto Scaling group can be enabled when a launch configuration is created. Auto Scaling groups is the core of Auto Scaling and contains a collection of EC2 instances that share similar characteristics and are treated as a logical grouping for the purposes of instance scaling and management. to determine the number of instances the ASG must maintain at all times. If missing, it equals to the minimum size. Desired capacity is different from minimum capacity. Availability Zones or Subnets in which the instances will be launched. Auto Scaling group starts by launching a desired capacity of instances and maintains this number by performing periodic health checks. An Auto Scaling group can contain EC2 instances in one or more AZs within the same region. Auto Scaling groups cannot span multiple regions. To merge separate single-zone Auto Scaling groups into a single Auto Scaling group spanning multiple AZs, rezone one of the single-zone groups into a multi-zone group, and then delete the other groups. This process works for groups with or without a load balancer, as long as the new multi-zone group is in one of the same AZs as the original single-zone groups. Auto Scaling group can be associated with a single launch configuration. As the Launch Configuration can’t be modified once created, only way to update the Launch Configuration for an Auto Scaling group is to create a new one and associate it with the Auto Scaling group. When the launch configuration for the Auto Scaling group is changed, any new instances launched use the new configuration parameters, but the existing instances are not affected. Auto Scaling group can be deleted from CLI, if it has no running instances else need to set the minimum and desired capacity to 0. This is handled automatically when deleting an ASG from AWS management console. Auto Scaling ensures a steady minimum (or desired if specified) count of Instances will always be running. Auto Scaling group can be associated with a load balancer enabled to use the Elastic Load Balancing health check, Auto Scaling determines the health status of the instances by checking the results of both EC2 instance status and Elastic Load Balancing instance health. Elastic Load Balancing reports the instance state as OutOfService. After an instance has been marked unhealthy as a result of an EC2 or ELB health check, it is almost immediately scheduled for replacement. It never automatically recovers its health. When your instance is terminated, any associated Elastic IP addresses are disassociated and are not automatically associated with the new instance. Elastic IP addresses must be associated with the new instance manually. Instance is in the running state. AMI used to launch the instance must still exist. Instance is not a member of another Auto Scaling group. Instance is in the same Availability Zone as the Auto Scaling group. If the Auto Scaling group is associated with a load balancer, the instance and the load balancer must both be in the same VPC. Auto Scaling increases the desired capacity of the group by the number of instances being attached. But if the number of instances being attached plus the desired capacity exceeds the maximum size of the group, the request fails. When Detaching instances, you have the option of decrementing the desired capacity for the Auto Scaling group by the number of instances being detached. If you choose not to decrement the capacity, Auto Scaling launches new instances to replace the ones that you detached. If you detach an instance from an Auto Scaling group that is also registered with a load balancer, the instance is deregistered from the load balancer. If connection draining is enabled for your load balancer, Auto Scaling waits for the in-flight requests to complete. 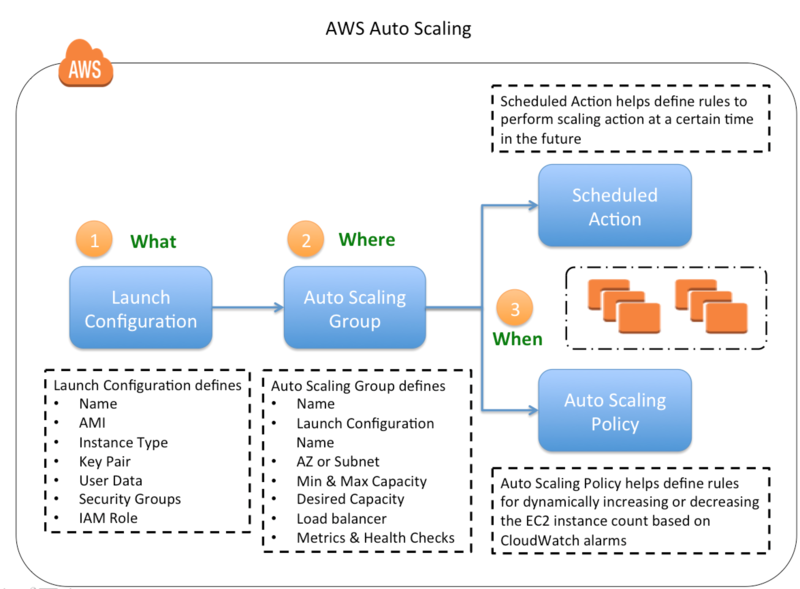 Auto Scaling group uses a combination of alarms & policies to determine when the conditions for scaling are met. An alarm is an object that watches over a single metric over a specified time period. When the value of the metric breaches the defined threshold, for the number of specified time periods the alarm performs one or more actions (such as sending messages to Auto Scaling). A policy is a set of instructions that tells Auto Scaling how to respond to alarm messages. After the Auto Scaling policy receives the message, Auto Scaling performs the scaling activity for the Auto Scaling group. This process continues until you delete either the scaling policies or the Auto Scaling group. An Auto Scaling group can have more than one scaling policy attached to it any given time. Each Auto Scaling group would have at least two policies: one to scale the architecture out and another to scale the architecture in. If an Auto Scaling group has multiple policies, there is always a chance that both policies can instruct the Auto Scaling to Scale Out or Scale In at the same time. Auto Scaling cooldown period is a configurable setting for your Auto Scaling group that helps to ensure that Auto Scaling doesn’t launch or terminate additional instances before the previous scaling activity takes effect and allows the newly launched instances to start handling traffic and reduce load. When Auto Scaling group dynamically scales using a simple scaling policy and launches an instance, Auto Scaling suspends the scaling activities for the cooldown period (default 300 seconds) to complete before resuming scaling activities. When manually scaling the Auto Scaling group, the default is not to wait for the cooldown period, but you can override the default and honor the cooldown period. Note that if an instance becomes unhealthy, Auto Scaling does not wait for the cooldown period to complete before replacing the unhealthy instance. Cooldown periods are automatically applied to dynamic scaling activities for simple scaling policies and is not supported for step scaling policies. selects the AZ, in multiple AZs environment, with the most instances and at least one instance that is not protected from scale in. terminates the unprotected instance using the oldest launch configuration, if one exists. terminates unprotected instances closest to the next billing hour, If multiple instances with oldest launch configuration. 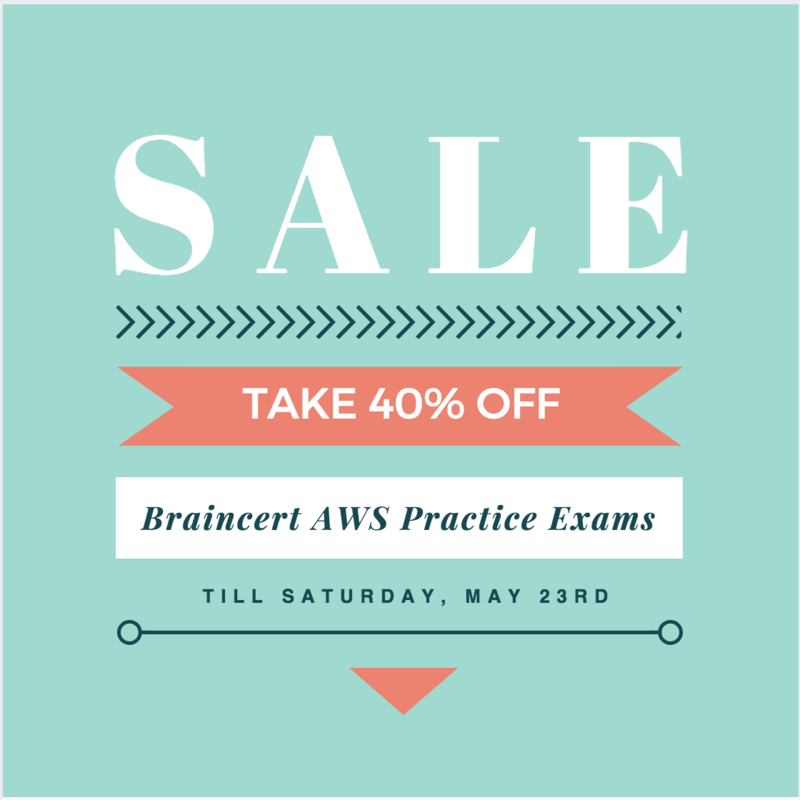 This helps in maximizing the use of the EC2 instances while minimizing the number of hours billed for EC2 usage. If the Availability Zones used by the group are balanced, then Auto Scaling applies the termination policy that you specified. ClosestToNextInstanceHour – terminates instances that are closest to the next billing hour and helps to maximize the use of your instances and manage costs. Instance protection controls whether Auto Scaling can terminate a particular instance or not. Instances launched within an Auto Scaling group with Instance protection enabled would inherit the property. If all instances in an ASG are protected from termination during scale in and a scale-in event occurs, it can’t terminate any instance and will decrement the desired capacity. Manual termination through the EC2 console, the terminate-instances command, or the TerminateInstances API. Auto Scaling processes can be suspended and then resumed. This can be very useful to investigate a configuration problem or debug an issue with the application, without triggering the Auto Scaling process. Auto Scaling also performs Administrative Suspension where it would suspend processes for ASGs, if the Auto Scaling groups that have been trying to launch instances for over 24 hours but have not succeeded in launching any instances. Launch – Adds a new EC2 instance to the group, increasing its capacity. Terminate – Removes an EC2 instance from the group, decreasing its capacity. HealthCheck -Checks the health of the instances. ReplaceUnhealthy – Terminates instances that are marked as unhealthy and subsequently creates new instances to replace them. ScheduledActions – Performs scheduled actions that you create. AddToLoadBalancer – Adds instances to the load balancer when they are launched. AZRebalance – Balances the number of EC2 instances in the group across the Availability Zones in the region. When the unhealthy AZ returns to a healthy state, Auto Scaling automatically redistributes the instances evenly across the Availability Zones for the group. Note that if you suspend AZRebalance and a scale out or scale in event occurs, Auto Scaling still tries to balance the Availability Zones for e.g. during scale out, it launches the instance in the Availability Zone with the fewest instances. If you suspend Launch, AZRebalance neither launches new instances nor terminates existing instances. This is because AZRebalance terminates instances only after launching the replacement instances. A user is trying to setup a scheduled scaling activity using Auto Scaling. The user wants to setup the recurring schedule. Which of the below mentioned parameters is not required in this case? A user has configured Auto Scaling with 3 instances. The user had created a new AMI after updating one of the instances. If the user wants to terminate two specific instances to ensure that Auto Scaling launches an instances with the new launch configuration, which command should he run? A user is planning to scale up an application by 8 AM and scale down by 7 PM daily using Auto Scaling. What should the user do in this case? An organization has setup Auto Scaling with ELB. Due to some manual error, one of the instances got rebooted. Thus, it failed the Auto Scaling health check. Auto Scaling has marked it for replacement. How can the system admin ensure that the instance does not get terminated? A user has configured Auto Scaling with the minimum capacity as 2 and the desired capacity as 2. The user is trying to terminate one of the existing instance with the command: as-terminate-instance-in-auto-scaling-group<Instance ID> –decrement-desired-capacity. What will Auto Scaling do in this scenario? An organization has configured Auto Scaling for hosting their application. The system admin wants to understand the Auto Scaling health check process. If the instance is unhealthy, Auto Scaling launches an instance and terminates the unhealthy instance. What is the order execution? A user has configured ELB with Auto Scaling. The user suspended the Auto Scaling terminate process only for a while. What will happen to the availability zone rebalancing process (AZRebalance) during this period? An organization has configured Auto Scaling with ELB. There is a memory issue in the application which is causing CPU utilization to go above 90%. The higher CPU usage triggers an event for Auto Scaling as per the scaling policy. If the user wants to find the root cause inside the application without triggering a scaling activity, how can he achieve this? A user has configured ELB with Auto Scaling. The user suspended the Auto Scaling Alarm Notification (which notifies Auto Scaling for CloudWatch alarms) process for a while. What will Auto Scaling do during this period? An organization has configured two single availability zones. The Auto Scaling groups are configured in separate zones. The user wants to merge the groups such that one group spans across multiple zones. How can the user configure this? An organization has configured Auto Scaling with ELB. One of the instance health check returns the status as Impaired to Auto Scaling. What will Auto Scaling do in this scenario? A user is planning to setup infrastructure on AWS for the Christmas sales. The user is planning to use Auto Scaling based on the schedule for proactive scaling. What advise would you give to the user? A sys admin is trying to understand the Auto Scaling activities. Which of the below mentioned processes is not performed by Auto Scaling? You have started a new job and are reviewing your company’s infrastructure on AWS. You notice one web application where they have an Elastic Load Balancer in front of web instances in an Auto Scaling Group. When you check the metrics for the ELB in CloudWatch you see four healthy instances in Availability Zone (AZ) A and zero in AZ B. There are zero unhealthy instances. What do you need to fix to balance the instances across AZs? 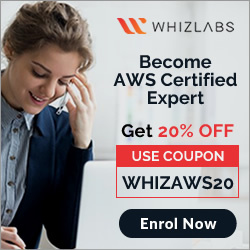 You have been asked to leverage Amazon VPC EC2 and SQS to implement an application that submits and receives millions of messages per second to a message queue. You want to ensure your application has sufficient bandwidth between your EC2 instances and SQS. Which option will provide the most scalable solution for communicating between the application and SQS? You have decided to change the Instance type for instances running in your application tier that are using Auto Scaling. In which area below would you change the instance type definition? A user is trying to delete an Auto Scaling group from CLI. Which of the below mentioned steps are to be performed by the user? A user has created a web application with Auto Scaling. The user is regularly monitoring the application and he observed that the traffic is highest on Thursday and Friday between 8 AM to 6 PM. What is the best solution to handle scaling in this case? A user has configured the Auto Scaling group with the minimum capacity as 3 and the maximum capacity as 5. When the user configures the AS group, how many instances will Auto Scaling launch? A sys admin is maintaining an application on AWS. The application is installed on EC2 and user has configured ELB and Auto Scaling. Considering future load increase, the user is planning to launch new servers proactively so that they get registered with ELB. How can the user add these instances with Auto Scaling? In reviewing the auto scaling events for your application you notice that your application is scaling up and down multiple times in the same hour. What design choice could you make to optimize for the cost while preserving elasticity? Choose 2 answers. Modify the Amazon CloudWatch alarm period that triggers your auto scaling scale down policy. Modify the Auto scaling group termination policy to terminate the oldest instance first. Modify the Auto scaling policy to use scheduled scaling actions. Modify the Auto scaling group cool down timers. Modify the Auto scaling group termination policy to terminate newest instance first. Deploy in two regions using Weighted Round Robin (WRR), with Auto Scaling minimums set for 100% peak load per region. Deploy in three AZs, with Auto Scaling minimum set to handle 50% peak load per zone. Deploy in two regions using Weighted Round Robin (WRR), with Auto Scaling minimums set for 50% peak load per region. A user has created a launch configuration for Auto Scaling where CloudWatch detailed monitoring is disabled. The user wants to now enable detailed monitoring. How can the user achieve this? A user has created an Auto Scaling group with default configurations from CLI. The user wants to setup the CloudWatch alarm on the EC2 instances, which are launched by the Auto Scaling group. The user has setup an alarm to monitor the CPU utilization every minute. Which of the below mentioned statements is true? A customer has a website which shows all the deals available across the market. The site experiences a load of 5 large EC2 instances generally. However, a week before Thanksgiving vacation they encounter a load of almost 20 large instances. The load during that period varies over the day based on the office timings. Which of the below mentioned solutions is cost effective as well as help the website achieve better performance? Keep only 10 instances running and manually launch 10 instances every day during office hours. Setup to run 10 instances during the pre-vacation period and only scale up during the office time by launching 10 more instances using the AutoScaling schedule. During the pre-vacation period setup a scenario where the organization has 15 instances running and 5 instances to scale up and down using Auto Scaling based on the network I/O policy. During the pre-vacation period setup 20 instances to run continuously. When Auto Scaling is launching a new instance based on condition, which of the below mentioned policies will it follow? The user has created multiple AutoScaling groups. The user is trying to create a new AS group but it fails. How can the user know that he has reached the AS group limit specified by AutoScaling in that region? A user is trying to save some cost on the AWS services. Which of the below mentioned options will not help him save cost? To scale up the AWS resources using manual Auto Scaling, which of the below mentioned parameters should the user change? For AWS Auto Scaling, what is the first transition state an existing instance enters after leaving steady state in Standby mode? For AWS Auto Scaling, what is the first transition state an instance enters after leaving steady state when scaling in due to health check failure or decreased load? A user has setup Auto Scaling with ELB on the EC2 instances. The user wants to configure that whenever the CPU utilization is below 10%, Auto Scaling should remove one instance. How can the user configure this? A user has enabled detailed CloudWatch metric monitoring on an Auto Scaling group. Which of the below mentioned metrics will help the user identify the total number of instances in an Auto Scaling group including pending, terminating and running instances? Add a business process management application to your Elastic Beanstalk app servers and re-use the ROS database for tracking order status use one of the Elastic Beanstalk instances to send emails to customers. Use SWF with an Auto Scaling group of activity workers and a decider instance in another Auto Scaling group with min/max=1 Use the decider instance to send emails to customers. Use SWF with an Auto Scaling group of activity workers and a decider instance in another Auto Scaling group with min/max=1 use SES to send emails to customers. Use an SQS queue to manage all process tasks Use an Auto Scaling group of EC2 Instances that poll the tasks and execute them. Use SES to send emails to customers.